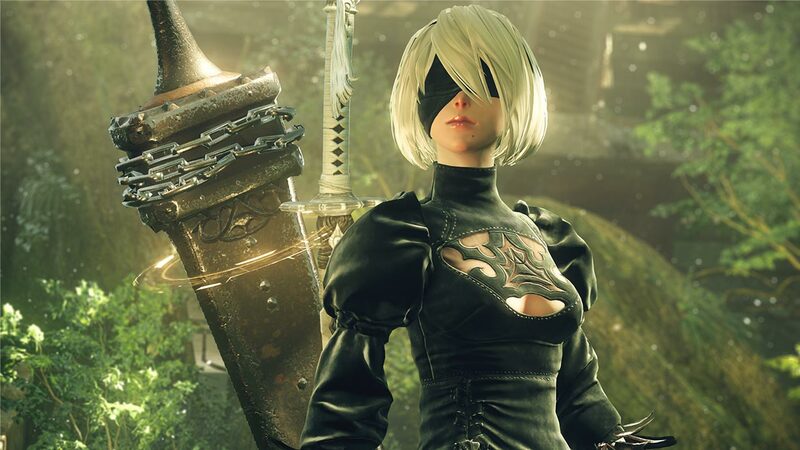 Let's get this out of the way quickly - NieR Automata is much more than just a game. It’s a work of storytelling art told in unique ways and is pretty much a must for those who love highly original story-based games. NieR Automata’s striking narrative is paired with some great action gameplay and a world that encouraged me to explore it with its multi-altitude areas and environments ranging from beautiful to creepy. There is a lot to be intrigued by in the entire experience and it's one that I'm sure will stay with me for a long time. 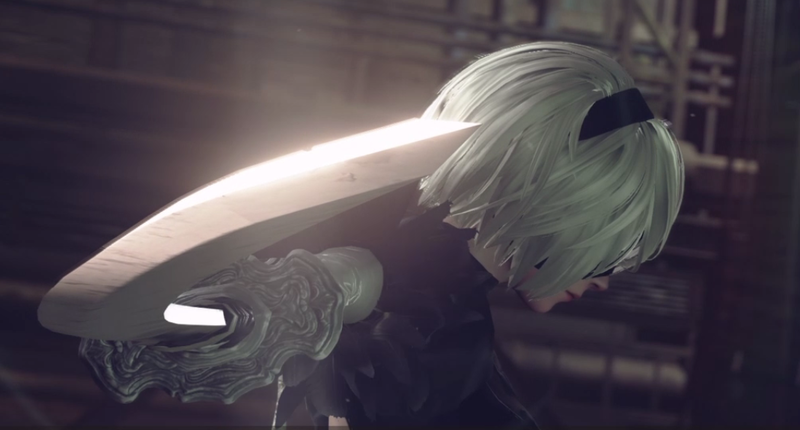 NieR Automata predominantly follows the story of cool, collected battle unit 2B, one of the many androids made by humans that are tasked with reclaiming Earth from the alien machines that have invaded. She does this with the help of the more emotive scanner unit 9S and their fascinating journey to Earth sees them exploring the way of the machine lifeforms on it while ultimately striving to complete their mission. This exploration of the machines and androids respective homes did a great job at challenging any understanding I had of either, considering I'm pretty sure I didn't meet any humans in Automata yet all the characters (including some NPCs) were complex and relatable in many ways, adding to the already intriguing premise of Automata. I don’t want to spoil anything, but Automata’s story is fascinating and thought-provoking about a lot of very deep subjects. The story and characters of NieR Automata are heightened a lot by the subtle world-building done both within the story and its world. Whether it's the unsettling words of machines in story battles or a charming NPC talking about their day, it’s easy to get an understanding of the beings in Automata, which adds so much to the story. The fascinating environments show all different interpretations of human ideals and without spoiling too much, Yoko Taro really has made a world in Automata. The worlds range from pretty to creepy to unsettling and are all complemented by one of the best JRPG soundtracks I’ve heard in a long time. An initial criticism I had of exploring Automata was how often I was getting lost due to not being used to parkouring my way around the world and the map only helps so much. But an NPC explained this was because the map could only be made so much by GPS signals (another example of great world building), so I started to look around the world more and found myself really enjoying jumping across buildings, sometimes falling into holes and finding areas I didn't know about. 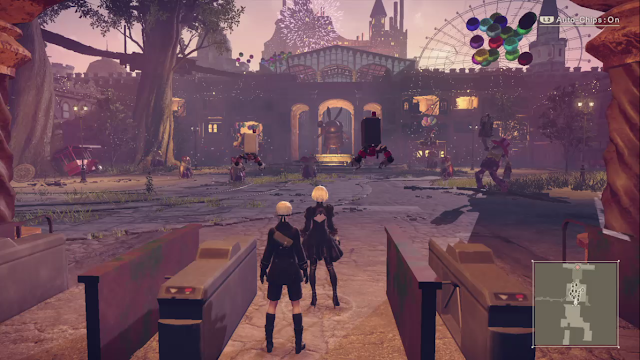 My favourite area was probably the Amusement Park one shown in the trailer, but there are a bunch of charming and strange places to explore and become immersed in, even if there aren’t as many places to visit as I was expecting. I'm still in awe of the way the story manages to be so much more than what I fell in love with about it in the trailers and it's one of the most interesting Sci-Fi worlds I’ve experienced, whether in games or otherwise. Some of Automata’s most interesting exploration moments were during its battle moments, with it switching between the usual 3D exploration to side-scrolling to and even top down shooting. 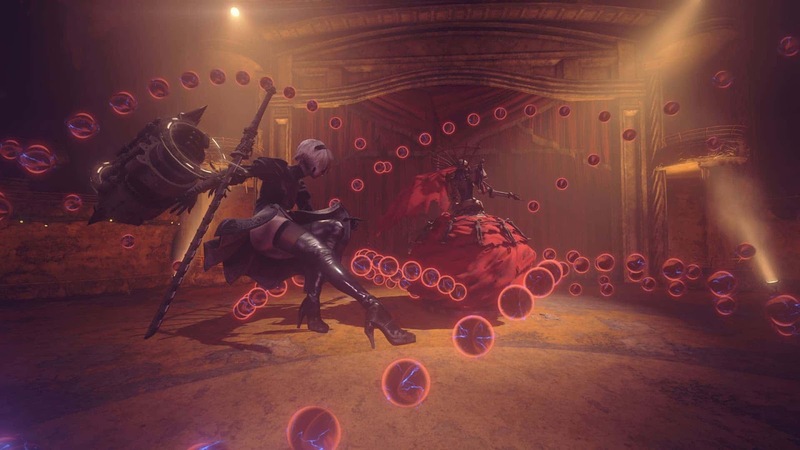 Since NieR Automata uses an action-based battle system that's main mechanics range from light or heavy attacks and shooting, the change in exploration style gives the action battles the variation it needs. The enemies in NieR Automata can be pretty challenging, depending what difficulty mode you play with. I'm currently playing on Normal mode in my second playthrough and am quickly finding myself noticing how much the Auto-Chips from easy mode were pretty much fighting battles for me. With difficulties ranging from Easy to Very Hard, there's something for every play style, whether you’re getting through the story or you want an intense challenge. Conquering difficulty modes isn't the only reason to go back and play Automata again. There are plenty of quests I have left over, weapons to upgrade, androids to chip (you read that correctly) and amusing NPCs I didn't talk to nearly (Nierly?) enough. Also, the fact that ‘end’ of NieR Automata isn't at all the full end with multiple endings to be explored is exciting for someone who craves intricate stories like myself. While I know there's the danger that a lot of players will get to the first ending of NieR Automata and finish the 15-hour campaign feeling like it should've been longer, I can safely say my time with Automata certainly isn't over. I'm itching to go back and see the alternative versions of the beautiful story because it’s just that good. NieR Automata is a one of a kind Sci-Fi JRPG for story fans. It showed me one of the most thought-provoking worlds I've experienced in games and even though it had a smaller world to explore than I was hoping for, where it lacked in size it truly gave back in quality with the story told through its areas, NPCs and most of all, the fascinating main story. 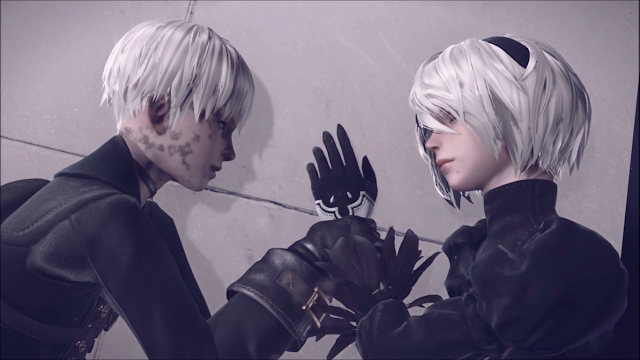 The story of NieR Automata really will be one that stays with me for a while and I’m happy that my first step into the world of NieR was really, really good. I'm ready for Automata to make me cry at least three more times. You can pick up NieR Automata at Play-Asia! Are you going to pick up NieR Automata? Would you recommend the original NieR (I'm interested in trying it now! )?